Skype is a fantastic tool when used correctly, but if you’re not careful it can derail your productivity worse than an addiction to cat videos on YouTube. 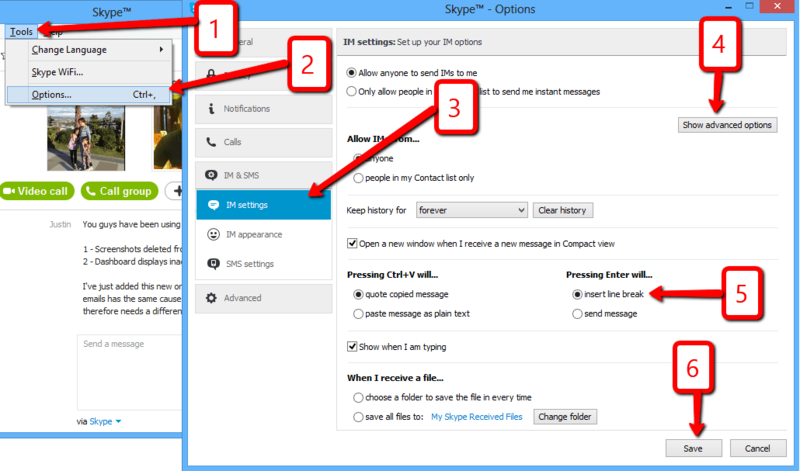 If you want to become a Skype ninja, you have to eliminate these problems from your workflow. Let’s deal with inefficient communication first. Communication is a two-way street; you need to make sure that you communicate efficiently with others, and that they communicate efficiently with you. 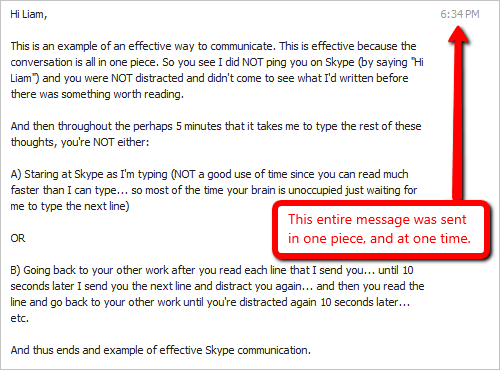 Type your message including line breaks in another program such as Notepad or Word, and then copy & paste it into Skype. It’s easy to send your own Skype messages efficiently now that you know how, but harder to control how others communicate with you. It can take some time to “train” them. 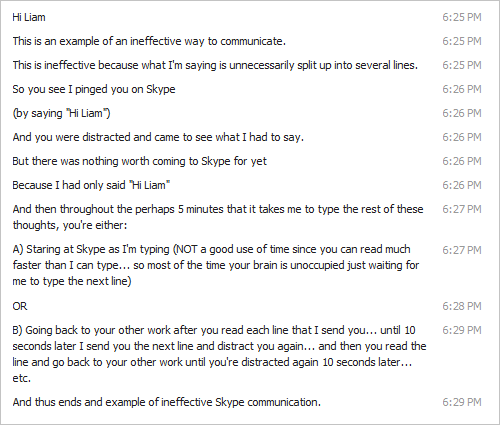 I suggest that you send your Skype contacts to this article at the first instance of inefficient communication. This means that if they send you a message that simply says “Hi Liam”, your immediate response should be to send them the URL to this article (and I’ll take the heat if they consider your response rude). You might need to do this a few times before they get the hang of it. So far we’ve just been discussing instant messages, but don’t hesitate to do voice calls on Skype! If a conversation is complex or is going to be more than a few minutes, voice may be a more efficient way to communicate. Screen-sharing & screen-capture images & videos can get often get a message across more effectively than typing (“a picture tells a thousand words” – and so does a video). Skype has a built-in feature that allows you to share your screen with whoever you’re communicating with. Skype comes preset to notify you about all sorts of unimportant events. Fortunately, they also provide an easy way to turn off those notifications. 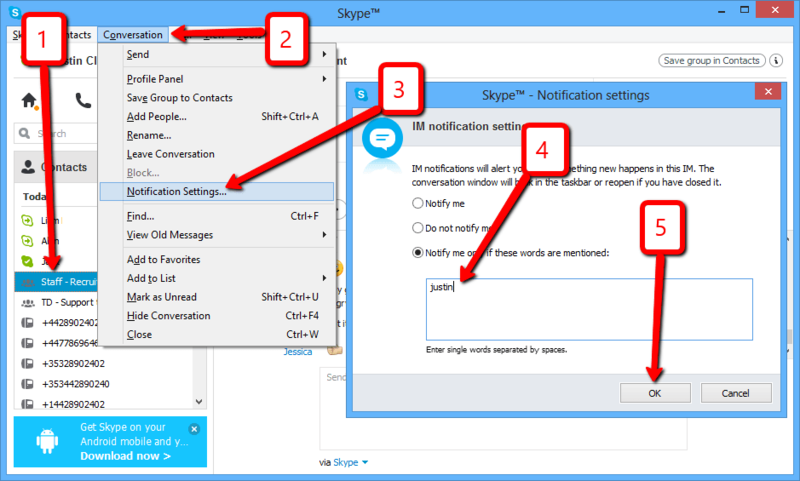 If you’re using Skype for work, you probably have some non-work contacts on Skype too, or some Skype group chats that you’re a part of where the conversations are usually not urgent or relevant to your work. It’s usually best to turn off notifications from these groups or contacts. When you do this, you’ll still be able to see that they sent you a message when you look at Skype, and you’ll be able to respond… you just won’t be automatically notified when they send you a message. Congratulations, you’re now a Skype Ninja! Now that your efficient Skype use has freed up some of your time, spend that time with someone you love, or by leaving a comment below (we’d love to hear about some of your own Skype hacks). 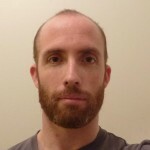 Note: This article was adapted from Time Doctor’s internal policy for Skype use. 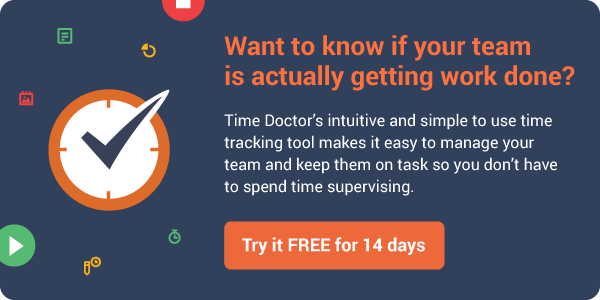 Justin Clark takes care of paid advertising & conversion rate optimization at Time Doctor - a time monitoring and productivity monitoring tool that is designed to help businesses reduce wasted hours at work and improve employee productivity. He is from Ottawa, Canada.